Early voting has been slow in the Chicago area with weather, perhaps, being the biggest factor. Though some are also having a hard time choosing which of the 14 candidates to vote for. 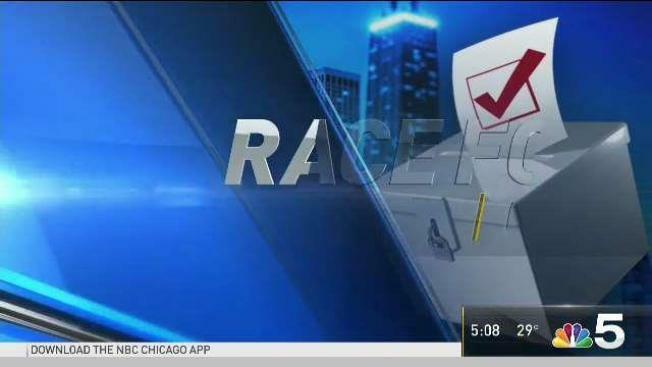 NBC 5's Mary Ann Ahern has the latest on the mayoral race. Election Day is two weeks from Tuesday--but on the first day of early voting across all 50 wards, where was the biggest turnout? Early voting has been slow, with the weather perhaps the biggest factor, but also with 14 candidates some are having a hard time choosing who to vote for. It's a non-partisan primary--with a runoff of the top two in April if no one gets more than 50 percent. Willie Wilson ran in 2015, Amara Enyia is a first-time candidate. "I think the citizens are looking for experience," Wilson said. "Regardless of who gets in the fifth floor, if we are committed to do the work, we will make progress," Enyia said. What's notable is -- the 4th Ward is home to Toni Preckwinkle and the 19th Ward home to Jerry Joyce. The 19th and 41st also traditionally have the most city workers, as well as police and fire department employees living there. In the 14th Ward, where it is expected to be a tough re-election fight for Ald. Ed Burke with opponents Tanya Patino and Jaime Guzman -- only 62 voted on the first day of expanded early voting. There is also a big increase in the number of mail in vote requests. Those ballots are not part of the early vote totals and will not be counted until Election Day.